Bringing up the whole issue of botanical names versus common names is always a touchy subject with any group of gardeners. It’s been debated other times on other garden blogs, and I’m not intending to rake up the controversy again, interesting though it is. Personally, I used to be firmly in the “botanical names only” camp. When I had my own nursery way back when, I’d tend to get frustrated with customers who insisted on using only common names, mainly because many of the plants I grew didn’t have common names. Now, I consider myself lucky if I can remember any names some days. I’ll never give up being fascinated by botanical names, though. Partly, it’s because they look and sound so darn cool. Antirrhinum braun-blanquetii. 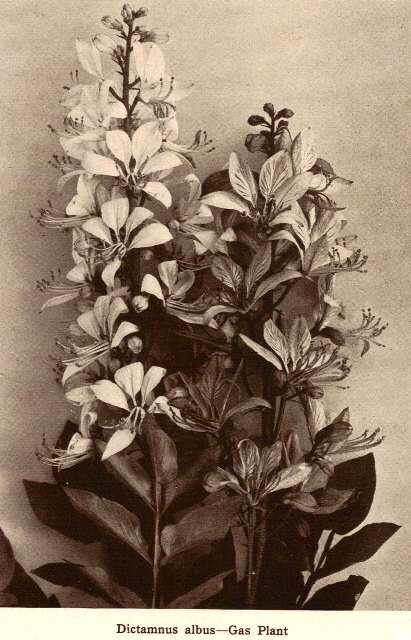 Aristolochia callistegioides. Chiranthodendron pentadactylon. Pelargonium appendiculatum. Succisella inflexa. Makes you wonder if you couldn’t conjure up some kindly (or perhaps malevolent) garden spirit simply by chanting the right string of names. Even more intriguing is what the names can actually tell you, if you care to listen. From just two words, you can get clues to all sorts of things about a plant: who discovered it, maybe, or what region it hails from. When it flowers. What its leaves or flowers or stems or fruit or roots look like. Where it likes to grow. What it is (or was) used for. Sometimes the information you get is obvious; other times, it takes a good bit of research to figure out what the person who chose the name was trying to convey. At first, the whole tangle of prefixes and suffixes and Latin and Greek is overwhelming and frustrating. But over time, you tend to absorb some understanding, even without trying to. You figure out that alba means white, for instance, and that rubra means red, so when you learn that Quercus refers to the oaks, it’s not a stretch to remember that Quercus alba refers to a white oak and Quercus rubra to a red oak. Soils have names too, but the current system of soil taxonomy is a whole lot more straightforward than plant taxonomy. There are six levels: order, suborder, great group, subgroup, family, and series. Each one of these represents quite a lot of information, and a bit of each level goes into making up the name of any soil. So if you’re familiar with the system and read about an Aeric Fragiaqualf of the Buckingham series or a Typic Hapudult of the Chester series – or a Vitrixerandic Haplocambid, or a Oxyaquic Cryopsamment (aren’t they fantastic names?) – you know or can easily find out an immense amount of detail about the origins, physical characteristics, and potential uses of a particular soil without even seeing it. This system of soil naming is a relatively new (20th-century) creation, though, and the scientists who developed it had the advantage of being able to look at the entire picture of soils around the world and figure out a system that would work for all of them. It’s still being fine-tuned, but for the most part, it’s a stable and effective system. Plant taxonomy, on the other hand, seems anything but stable. It’s been around a lot longer and had a number of different origins, and modifications can happen quickly as new ways of looking at these living, ever-changing organisms are discovered. We learn one name, then are told we must learn another. Some people resist the change and keep using the old name (and are sometimes vindicated when the taxonomists decide that the old name was okay after all). Others work hard to stay abreast of the very latest in correct nomenclature. And then there are the rest of us, who try to keep up with the new names but sometimes slip back into the older ones we learned in our earlier days as gardeners. You can find many more gems like these by clicking through Chiltern’s extensive web site. But if you’re geeky enough to find this seriously interesting, I highly recommend getting a print copy for yourself. It makes awesome reading when you have some hours (or even just a few minutes) to kill. 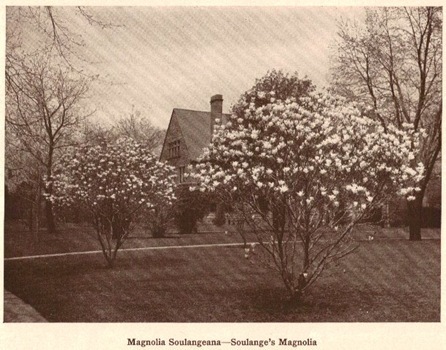 Photo note: Most of the images in this post are from A Practical Handbook of Trees, Shrubs, Vines and Herbaceous Perennials by John Kirkegaard (1912). 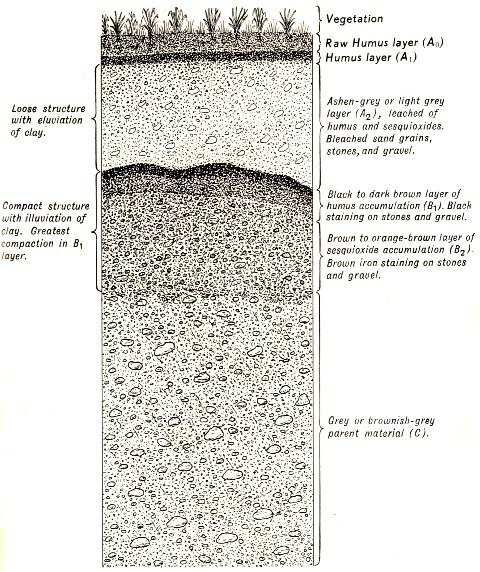 The illustration of a soil profile is from Soils: Their Origin, Constitution and Classification by Gilbert Wooding Robinson. Loved this post!! 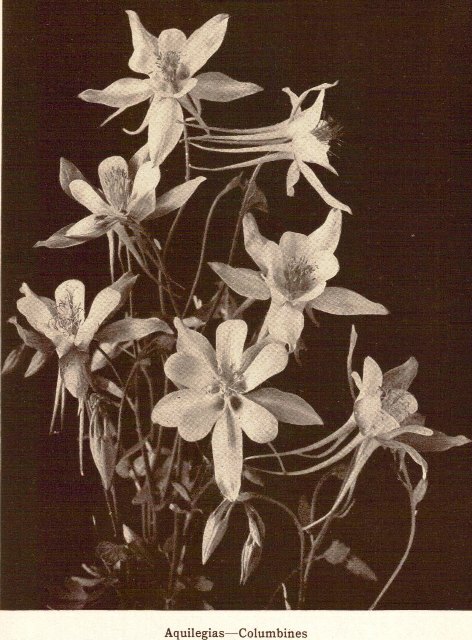 I use both common and botanical names, but for many unusual plants, only the botanical will do, since there is no common name. Heh. 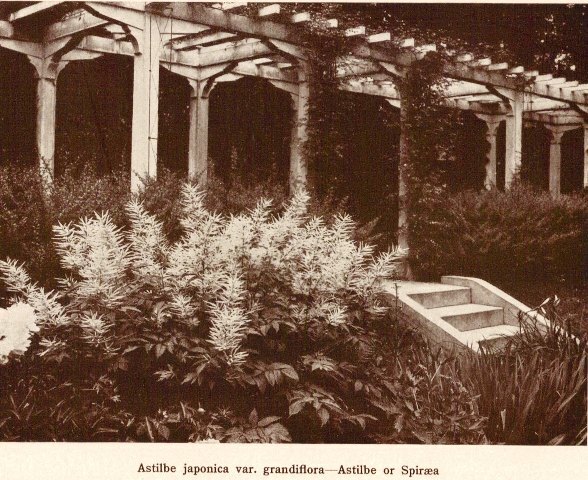 “Hakonechloa” isn’t the most graceful of names to say, but you reminded me of another favorite: Chamaecyparis pisifera ‘Filiera Aurea’ – aaah.